Do you manage a restaurant near Garrick Theatre? Click here to contact us and get listed. Prezzo labels itself as “Italian food in comfortable, contemporary and stylish surroundings”, and this is most certainly the case in the St Martin’s Lane branch of the restaurant. All food is prepared within view and pizzas are cooked in a classic stone baked oven. 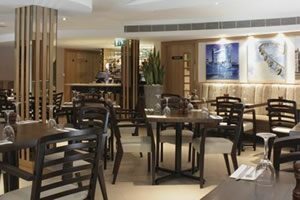 Prezzo has an affordable yet extensive menu of Italian delights, including classics such as pizza, calzone, pastas and antipasto platters. Prezzo has now launched a ‘light’ option for the pizzas and pastas, meaning most pizzas contain around 500 calories and pastas have less than 800 calories. Prezzo also had a gluten free menu and special offer menus. Call 020 7240 0352 for reservations and further information.